The Turkish edition of the Gilgamesh, Gilgamis Desani, is a faithful translation of Jackson's rendition. This first translation in Turkish contains the entire content of the Bolchazy-Carducci Publishers edition: Introduction by Robert D. Biggs; Appreciation by James G. Keenan; eighteen photographs of artifacts, captioned by Robert D. Biggs; 'My Poetic Intention' by Danny P. Jackson; all twelve tablets of the Gilgamesh text; glossary of proper names; and fifteen original woodcuts by Thom Kapheim. Though The Epic of Gilgamesh exists in several editions, Bolchazy-Carducci's version was undertaken with a very specific intent—to remain faithful to the source material while attempting to convey the poetic scope of a work that is both lusty and tender and one that retains the ability to arouse compassion and empathy in all who follow Gilgamesh on his journey. 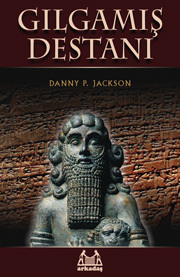 This edition reanimates the story of Gilgamesh and Enkidu for modern readers through indelible poetic images. The themes of Gilgamesh echo in other literature throughout the ancient and modern world. The longing stretch toward the infinite . . . the reluctant embrace of the temporal. This is the eternal lot of mankind. This is the Epic of Gilgamesh.